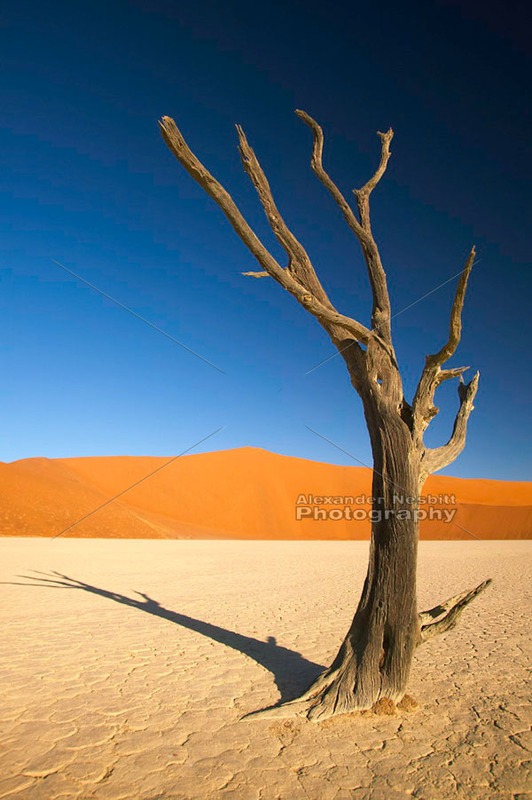 Namibia, 2004 – A dead tree and its shadow on the barren dried pan of the 'Dead Vlei' near Sossusvlei. 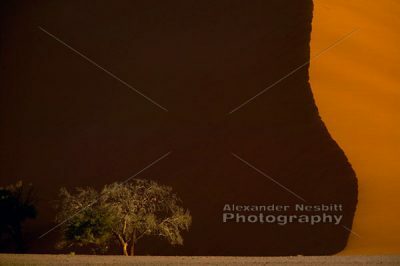 Namibia, 2004 – A dead tree and its shadow decorate the barren dried pan of the ‘Dead Vlei’ near Sossusvlei. The massive, stationary, red sand dune, ‘Dune 45’ forms a famous land mark at kilometer 45 along the access road to the Sossusvlei Pan, deep in the Namib Desert.